Fernando Robert "Shrine Shoe Rack"
How many pairs of shoes go to waste in your closet because you forget that you own them? Now you can make a shrine to your Pradas, your Jimmy Choos, and your Ferragamos and turn them into wall art. 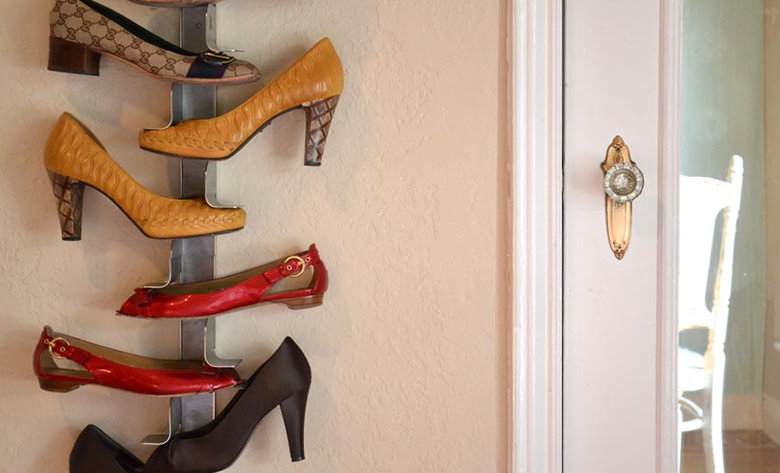 Read more about the Fernando Robert-designed “Shrine Shoe Rack” here. I think it’s a very helpful product and an awesome design!